The beautiful Albergo del Senato Rome is located in the heart of ancient Rome in the core of the historic Renaissance destrict district. 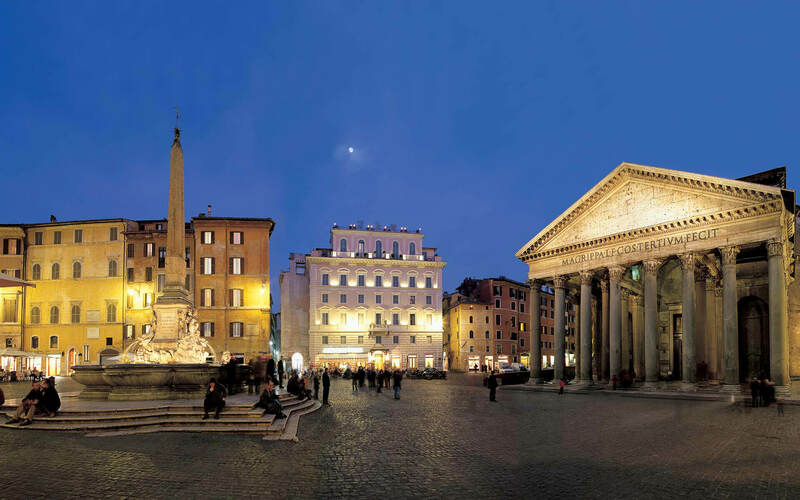 Situated in the stunning Piazza della Rotonda (also known by many Romans as Piazza Pantheon) our first class 3 star Rome hotel directly faces the ancient temple. One of Rome’s most fascinating historical sites, the Pantheon, was built by Agrippa in 27 BC in dedication to the ancient Roman Gods. Later destroyed by a fire, it was then rebuilt during the reign of the infamous Emperor Hadrian. Visitors staying at the Albergo del Senato Pantheon can mix with the locals and relax in the popular piazza while treating themselves to an Italian coffee or refreshing ice cream. Along with the Pantheon, the Albergo del Senato is surrounded by a number of buildings and monuments dating back to the Renaissance destrict Age. 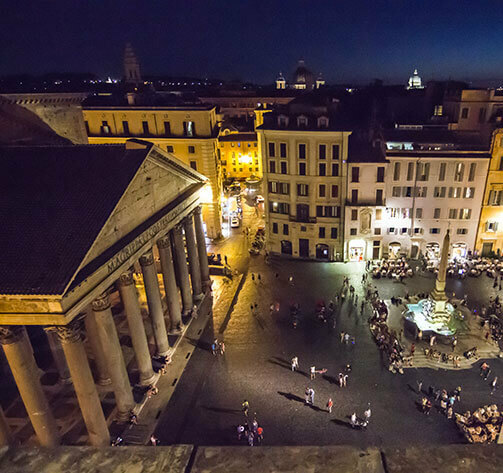 From the Albergo del Senato guests can enjoy a historic walk through the ancient cobblestone alleyways as they make their way to Piazza Navona. Piazza Navona is a city square that dates back to the 15th century and is the home of Renaissance destrict Roman art history. Further down guests can participate in the common tradition of throwing coins into Rome’s magnificent Trevi Foutain, the largest fountain of Roman Renaissance destrict architecture, supplied with water by one of Rome’s ancient aqueducts. 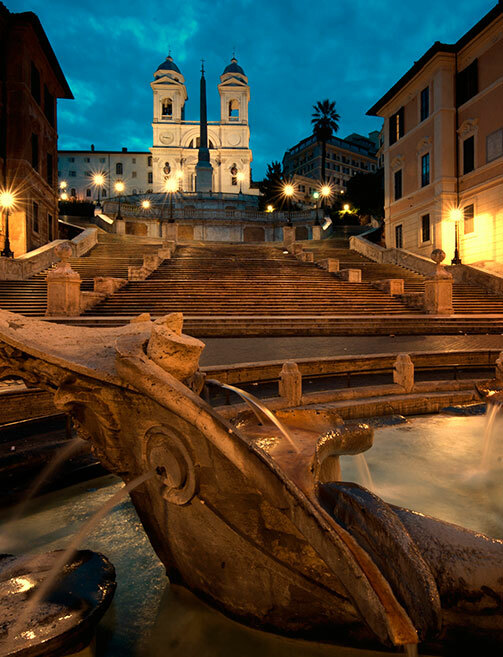 Tradition holds that if a traveler throws three coins into the impressive fountain it will ensure another trip back to Rome. Along the way to the impressive site of the Spanish Steps guests can admire Rome’s most well known shopping street, Via del Corso – booming with both designer fashion and unique boutiques. 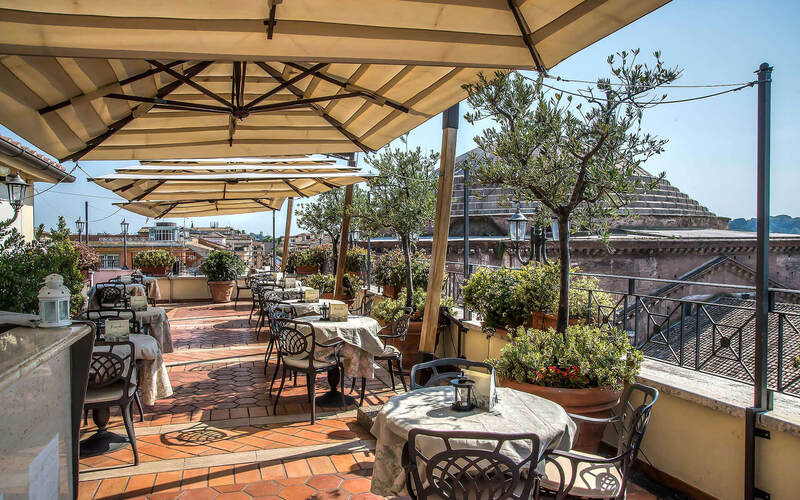 It is important that guests do not forget to visit Campo de’ Fiori – a famous Roman piazza just around the corner from the Albergo del Senato. Since 1869, Campo de’Fiori has been known for its delightful morning market, selling fresh produce, fish, flowers and handmade Roman crafts. By night Campo de’Fiori transforms into local hotspot where both tourists and Romans come to enjoy the many outside cafes and pubs. The Albergo del Senato Rome is located directly in the heart of Rome enabling guests to choose from a variety of transportation methods including bus service, taxi service, and underground. However, due it its vicinity to so many of Rome’s most popular sites guests can enjoy the luxury of exploring the city by foot. Guests can stroll down the historic cobblestone alley ways from one site to the next while enjoying Roman culture and romantic scenery. A taxi from Fiumicino Airport during the day should cost a set fare of around €40; from Ciampino Airport, around €30. Alternatively take the train into Termini from Fiumicino or the Schiaffini or SIT buses from Ciampino. From here a taxi should be less than €20. Several buses go to the Pantheon area from Termini but if you want an enjoyable trip we don’t advise you start by taking a Roman bus with your luggage. The building is located in a ZTL restricted traffic area.